Bring our troops home and stop the war. Don't fight in our names. 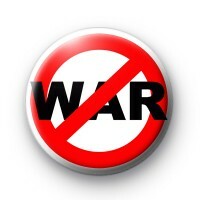 Show your support for peaceful resolution with this anti war button badge.